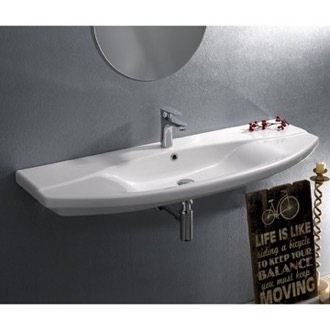 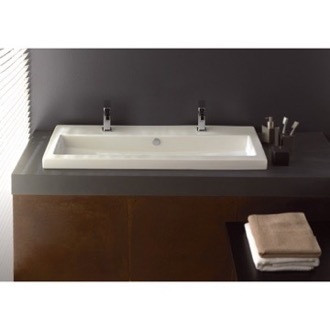 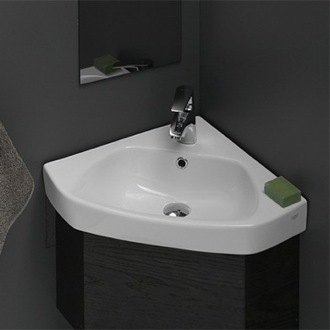 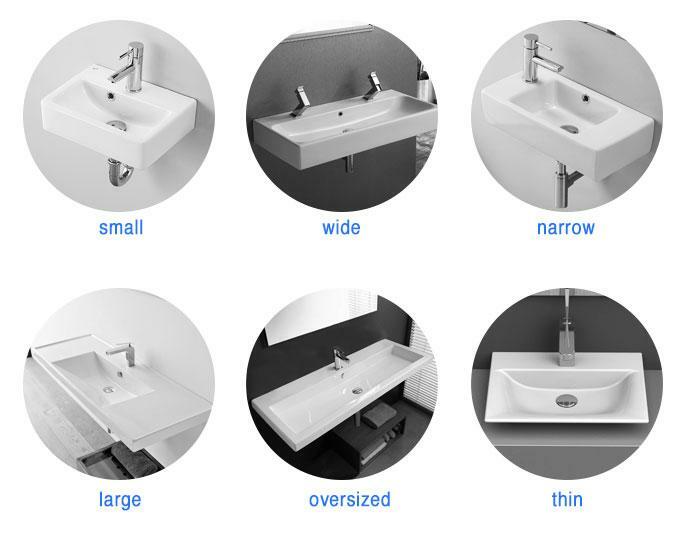 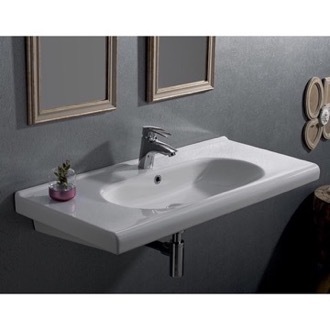 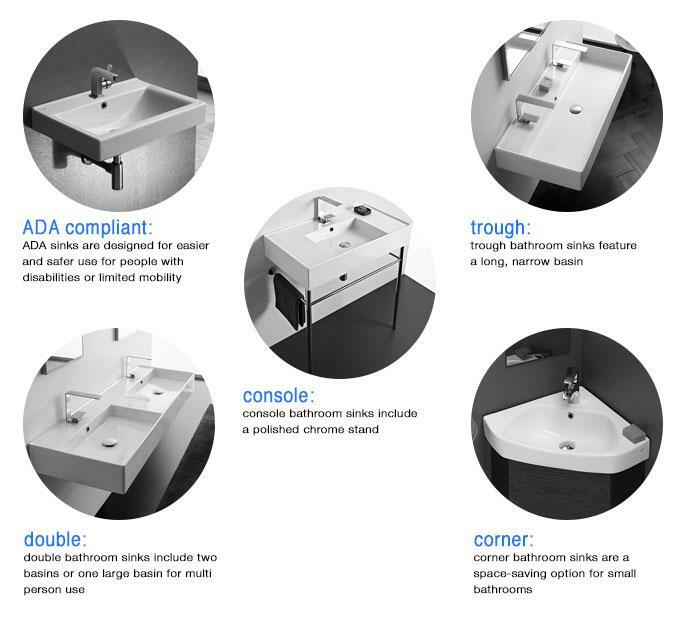 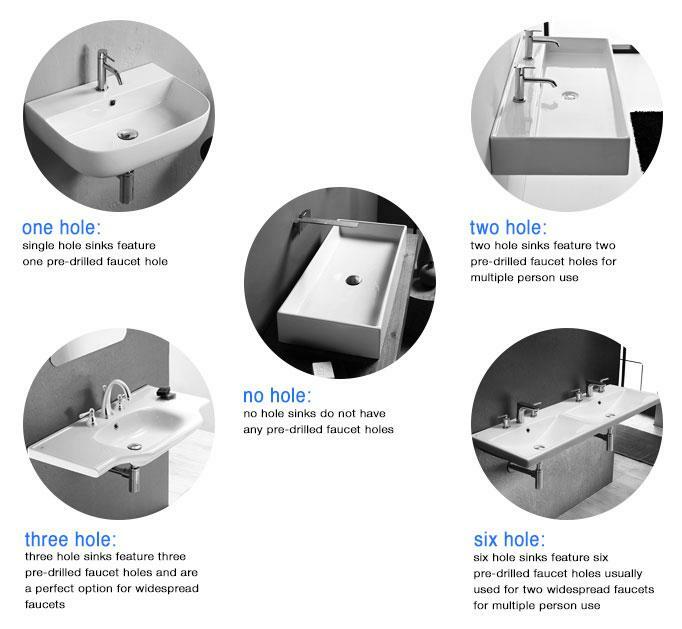 Shop our selection of drop in bathroom sinks and get FREE shipping on all orders over $99! 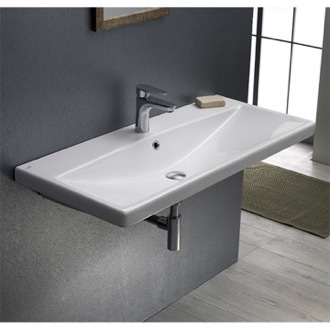 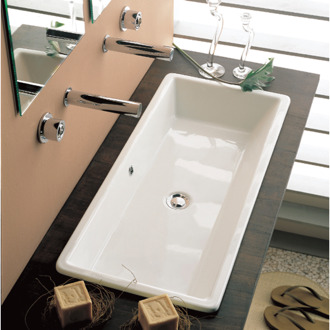 A classic drop in bathroom sink offers two major benefits: easy installation and a striking profile. 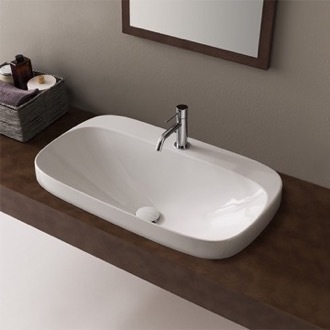 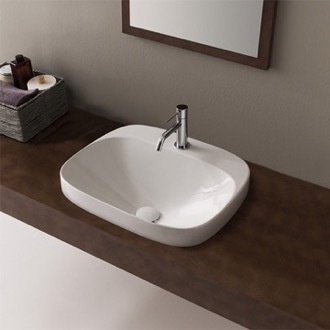 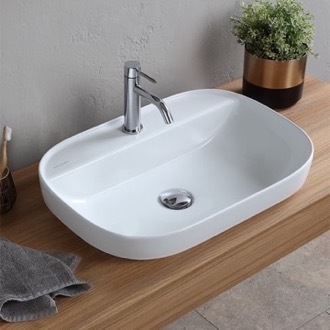 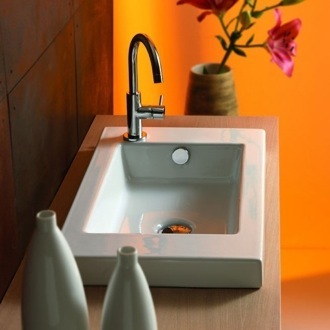 The main difference with a drop-in sink is the rim of the sink sits above your countertop or vanity. 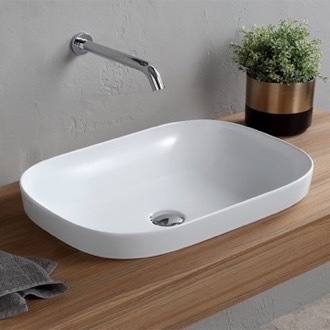 With that in mind, look for striking finishes and shapes, like rounded squares or an extra-wide rim to store soap and other bathroom essentials. 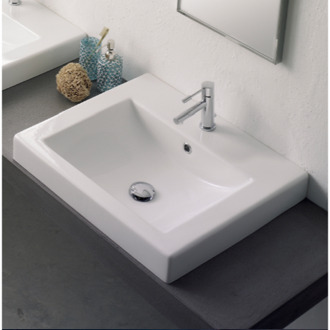 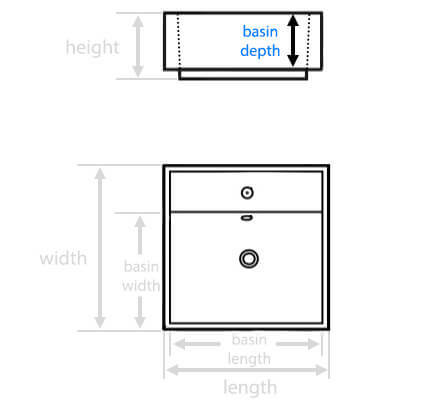 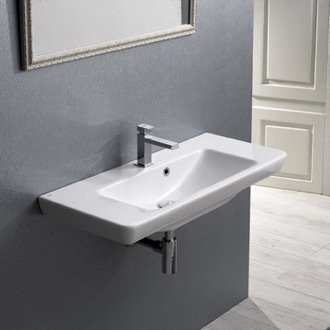 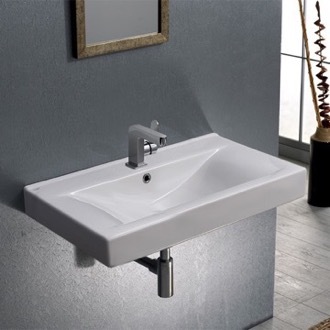 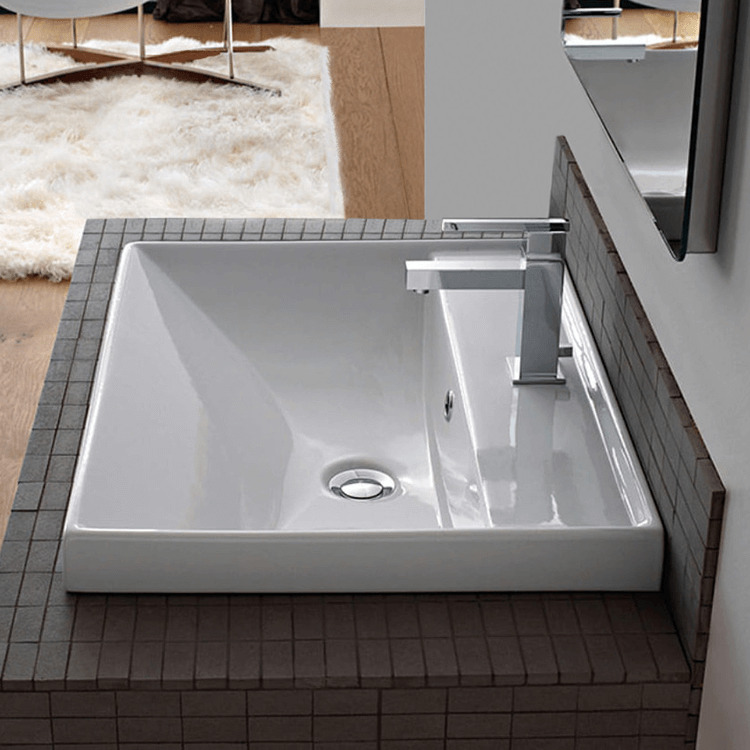 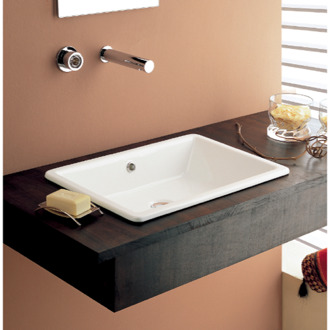 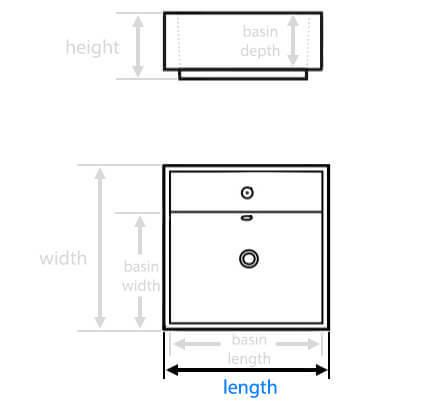 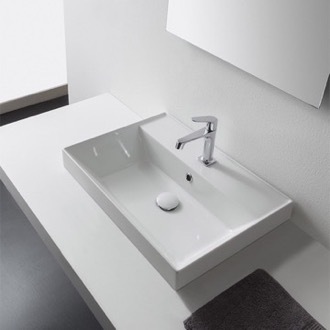 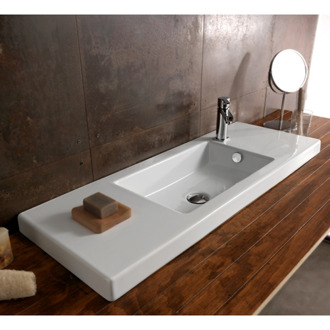 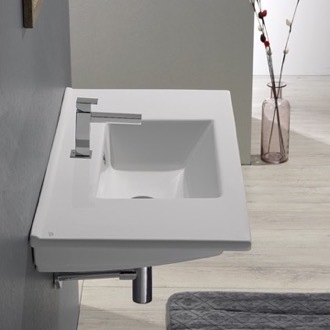 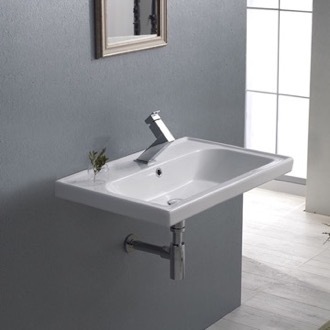 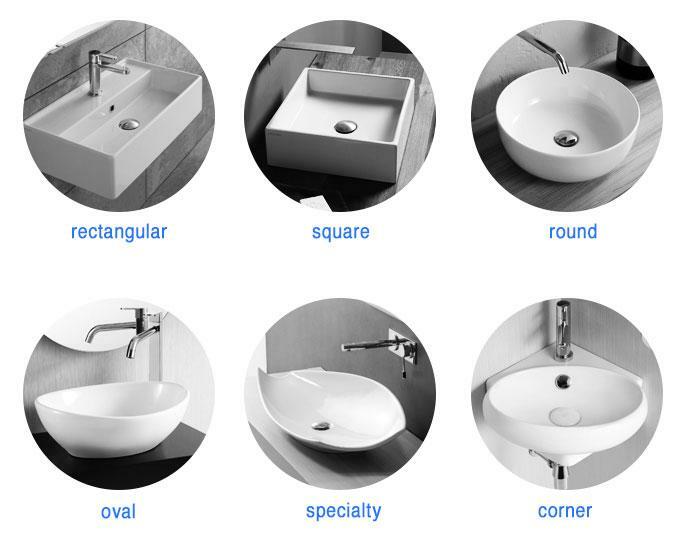 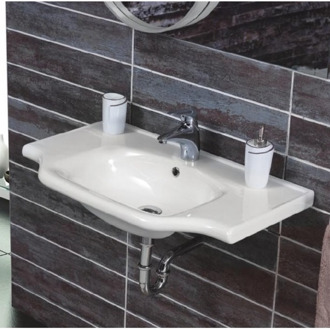 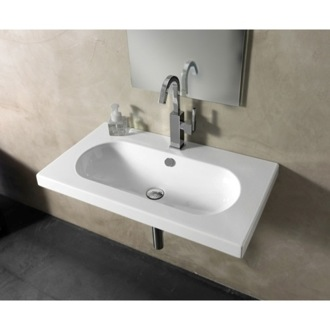 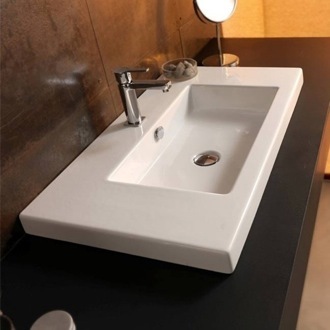 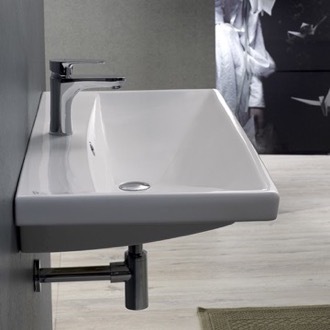 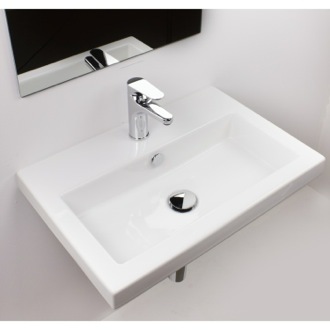 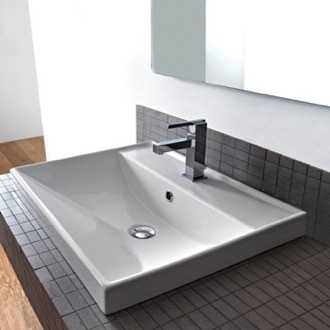 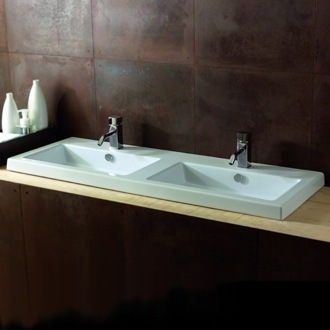 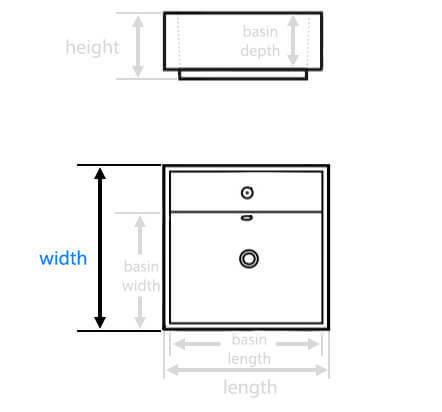 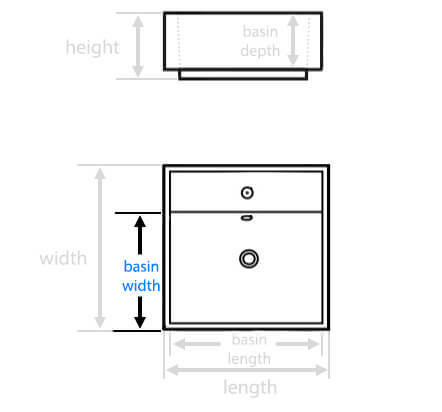 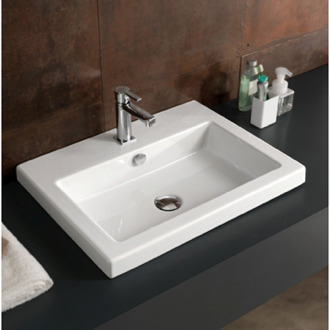 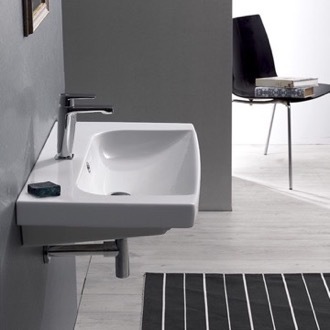 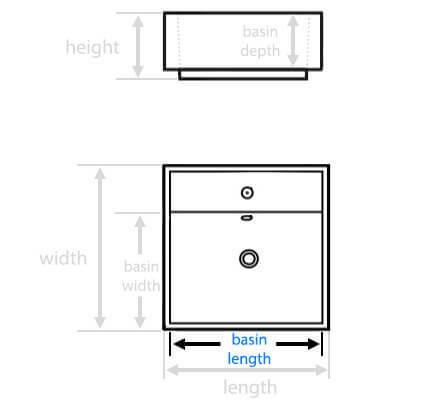 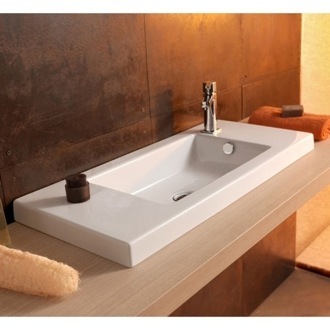 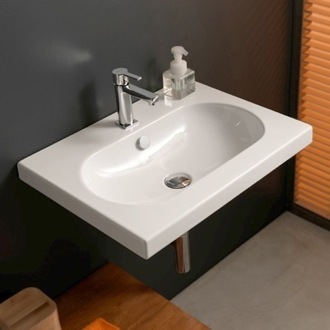 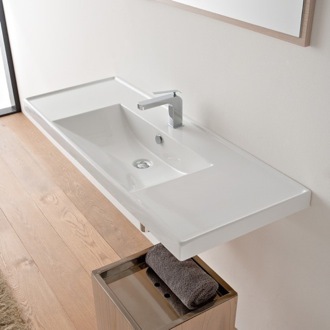 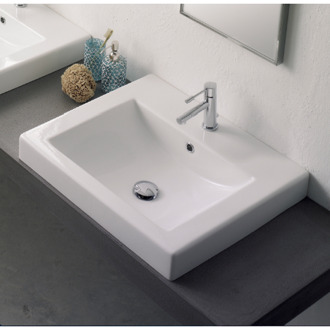 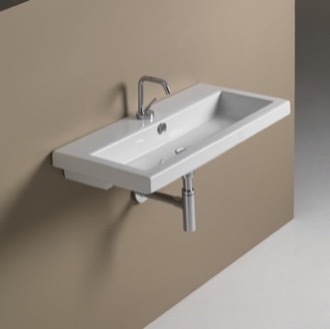 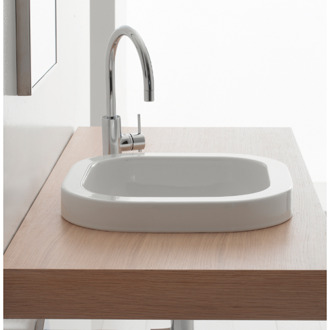 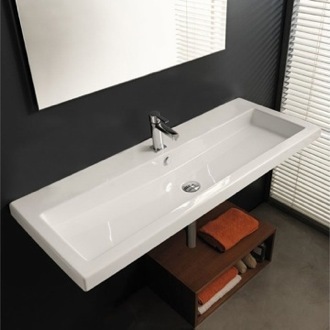 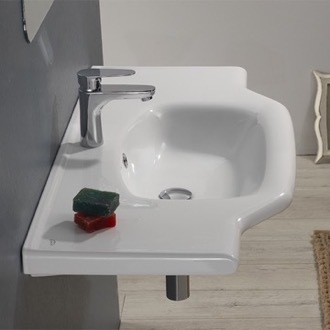 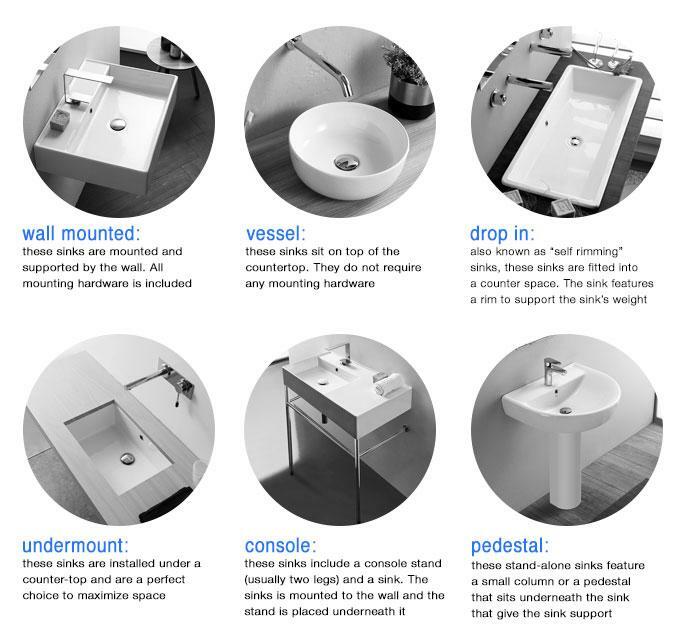 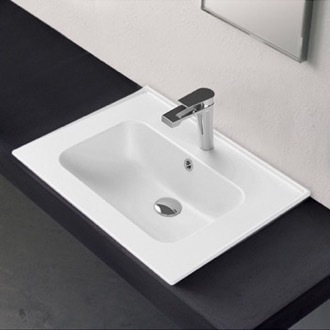 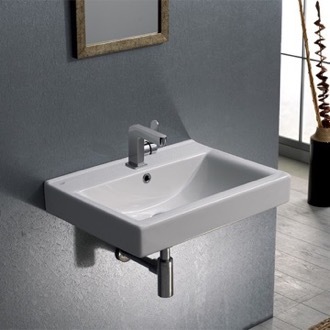 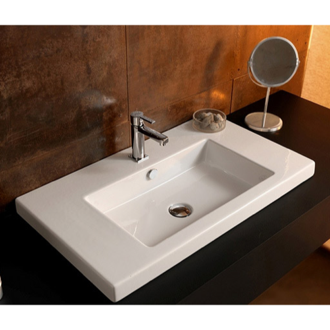 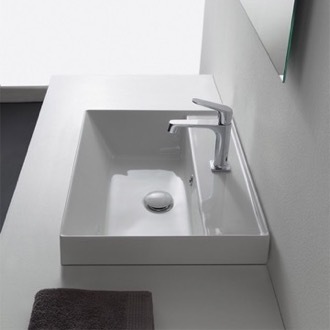 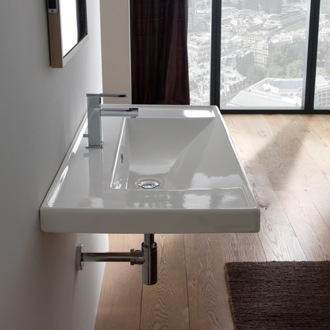 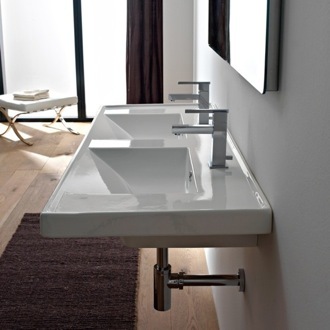 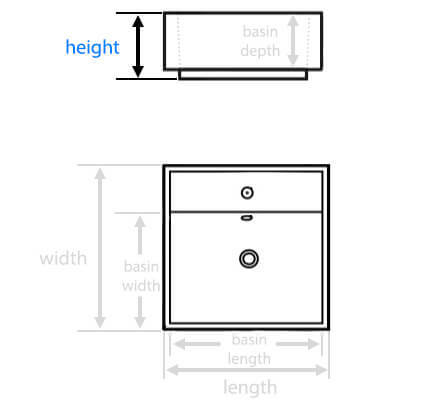 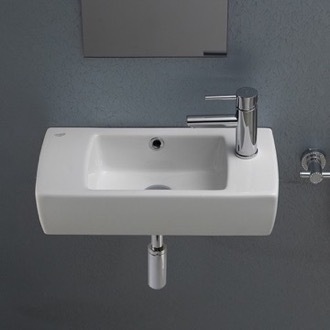 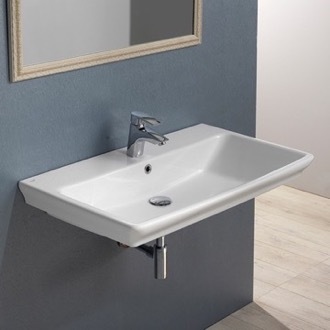 Drop-in sinks may also be wall-mounted, giving you flexibility as you design the perfect bathroom.